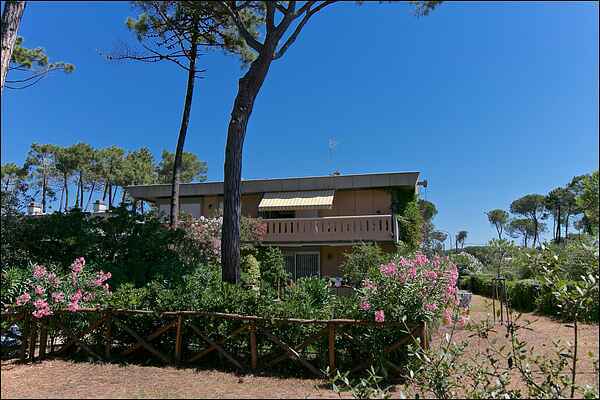 Holiday home in an apartment building at a mere 300 metres from the beach of Principina Mare, which is only 15 km away from Grosseto. At a few kilometres from the home, you will find the beautiful beaches of the park "Uccellina". You can make lovely day trips to the islands of Elba and Il Giglio, the harbour from which the ferries leave being 20 km away from the home. But also Siena (90m), Grosseto (15km) and Castiglione della Pescaia are definitely worth a visit. At 50 km, you can visit the famous thermal baths of "Saturnia". In short, a destination where there is plenty to do. The home is simply, yet functionally furnished. You can reach the balcony via the living room. Castiglione: known seaside village where you can eat good fish in the many typical restaurants. Argentario with beautiful places such as Talamone, Porto Santo Stefano, Porto Ercole and Orbetello Feniglia beach. From Porto Santo Stefano you can reach the island of Giglio with only an hour's journey.